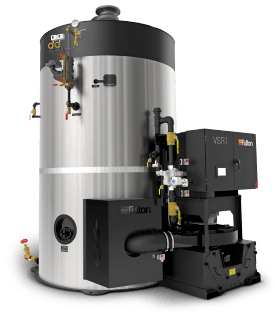 Steam boilers are a necessary fixture in many industrial/commercial buildings, where they are used to maintain a hot water supply, power a heating system, or run a wide variety of heavy-duty equipment. For optimal performance and efficiency, however, it is not enough to simply use a steam boiler. Your unit must be custom-designed for your specific application and building. 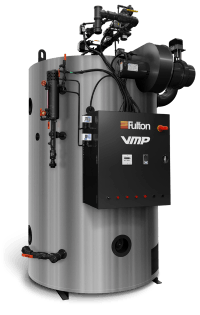 Fulton Steam Boilers has been supplying top-of-the-line, custom-fit steam boilers to the industrial and commercial world for the last 60 years, and ATI is in a unique position to connect you with these tough-built, reliable, and optimally efficient boiler systems. 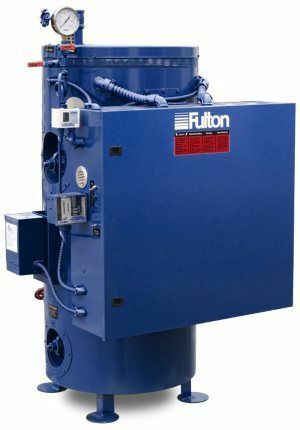 Fulton carries a large variety of custom-engineered, heavy-duty steam boilers to meet every common use of a steam boiler in industrial and commercial settings. Steam boilers are Fulton's "specialty" product and are of such exceptional quality that they are highly prized throughout the international market. 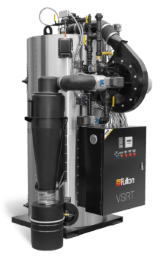 Fulton's VSRT steam boilers feature an ultra-compact vertical design, giving it the industry’s smallest footprint. It boasts an efficiency of 84.5% while maintaining 99.5% steam quality. It has a completely water-backed design with no refractory. 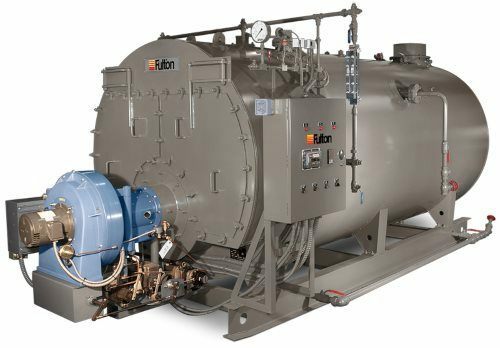 Fulton's FBL line of steam boilers maximize efficiency through fully immersed heating elements, a fully insulated pressure vessel, and a precisely configured heat-to-steam ratio. Operating pressure is reached rapidly and efficiently, and radiation loss during operation is minimal. 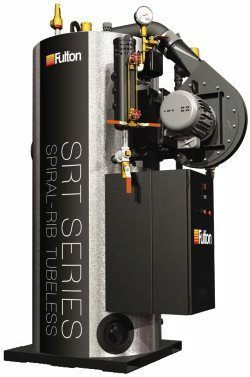 The SRT Series is the latest in Fulton's steam boiler line. It has been PURE Optimized and represents the new standard in vertical steam boiler technology. The Edge brings you all of the operational and design benefits of the Fulton Classic (which has since been merged into the Edge) but with the potential to reduce fuel consumption by up to 50% by means of the Fulton-engineered Flue Gas Enhancing (FGE) system, which achieves efficiency without shortening the unit's lifespan. The VMP's main distinction is its 84% fuel-to-steam efficiency rating, which is largely achieved by means of water-backed flue pipes that also enable quicker start up time and more even heat distribution. The FBS is a wet-back, horizontal firetube boiler. Its three-pass design, heavy-duty seamless tubing, and back-end exhaust vent create optimal efficiency, while its corrugated body minimizes thermal stress.